Ladies, are you interested in becoming a deputy sheriff? 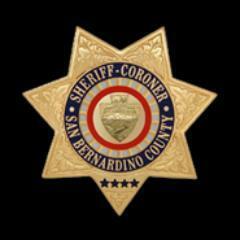 The 2nd Annual Women Warrior Fitness Invitational is scheduled for Saturday, August 23, 2014, at the San Bernardino County Sheriff’s Department’s Academy grounds. This event was created in an effort to get more women into sworn law enforcement positions with the San Bernardino County Sheriff’s Department. The Women Warrior Fitness Invitational allows interested women the opportunity to test their physical abilities in a non-threatening environment. The participants are also given the opportunity to speak with women currently in sworn law enforcement positions. Absolutely no men, spectators, or children. Non-participants are not allowed and will be turned away. For more information, click here. 6 Responses to Ladies, are you interested in becoming a deputy sheriff? Hi Elsie, since the event has passed, you can contact the Sheriff’s Employee Resources Division at 909.387.3750 and speak to one of their background investigators about your interest. Request that you substitute the wording of the announcement from “no males allowed” to “no men allowed”. “Male” (and “female”) is an anatomical term to classify genitalia, and it is insensitive to men to write “males” while at the same time you write “women” and “ladies”. You dehumanize men by doing that. Duly noted. We will strive to be more consistent in the future. When will there be another opportunity like this? Hi Blanca, we don’t have a date for the next event scheduled yet, however, if you are interested in becoming a deputy sheriff, you can contact the Sheriff’s Employee Resources Division at 909.387.3750 and speak to anyone of their background investigators.